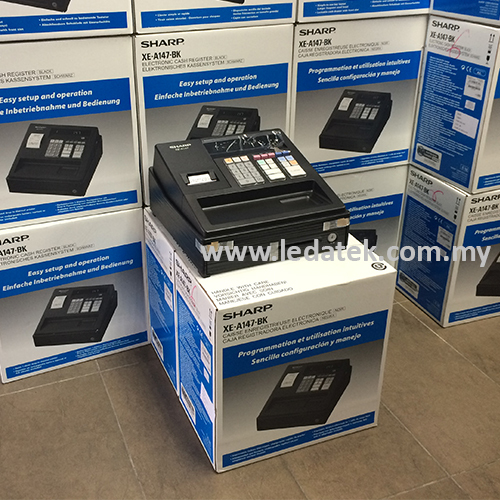 Printer Printing Speed Approx. 7 lines/sec. A compact, low-profile design makes the XE-A137-WH/BK andXE-A147-WH/BK real countertop space savers. 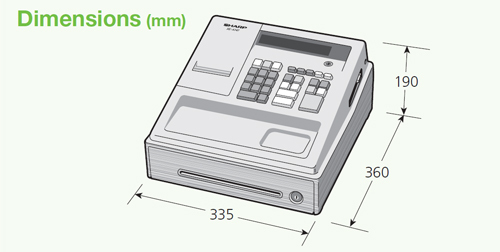 The front-locking cash drawer features three bill compartments and a removable six-compartment coin tray. 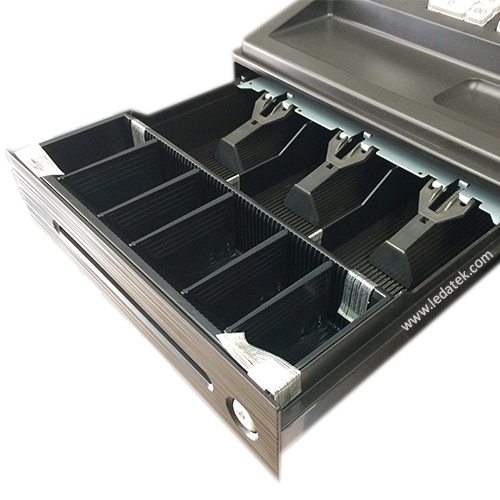 A slot accessible from the outside of thedrawer provides a quick, safe way to put large bills and cheques into an under-tray storage area without having to open the drawer or lift the heavy coin tray. What's more, a multi-purpose tray on the outside a handy new design feature provides a convenient resting place for coins, bills, and pens. 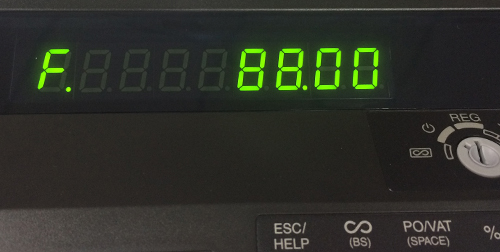 Bright and easy-to-read, the LED operator display on the XE-A137-WH/BK and XE-A147-WH/BK accommodates up to nine digits for easy viewing of currency amounts. 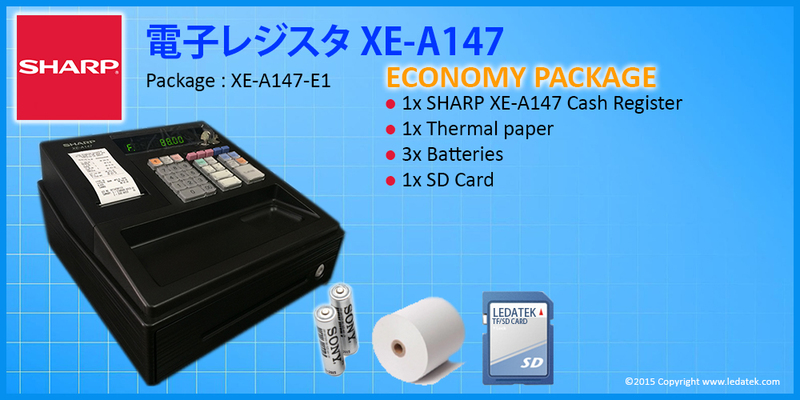 The XE-A137-WH/BK and XE-A147-WH/BK are equipped with an SD card slot. SD memory cards (4GB to 32GB) can be used to back up various kinds of data, including daily sales and electronic journal data. CSV-file-type data can be saved to an SD card then managed on a computer via Excel or other spreadsheet applications. 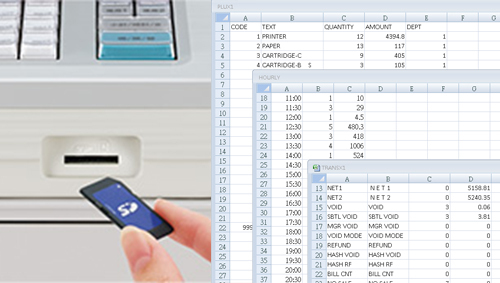 What's more, a variety of settings store name and logo, department names, product names, sales tax rate, and more can all be configured on a computer and imported into the XE-A137-WH/BK and XE-A147-WH/BK quickly and easily via an SD card. 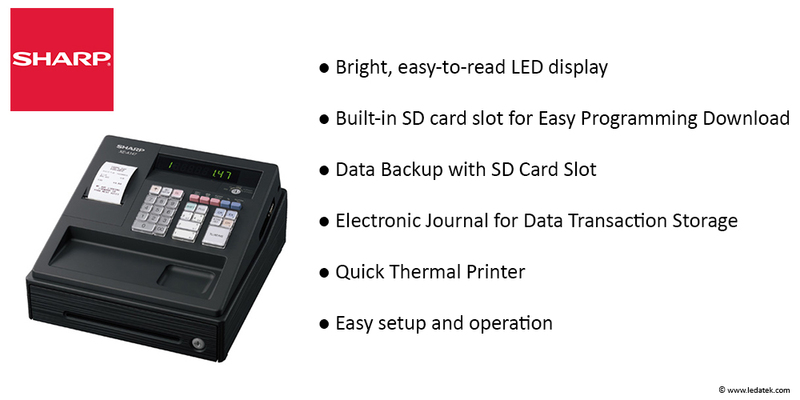 The XE-A137-WH/BK and XE-A147-WH/BK feature an electronic journal function that can electronically store up to 3,000 lines of transaction data, helping to conserve paper and reduce costs. 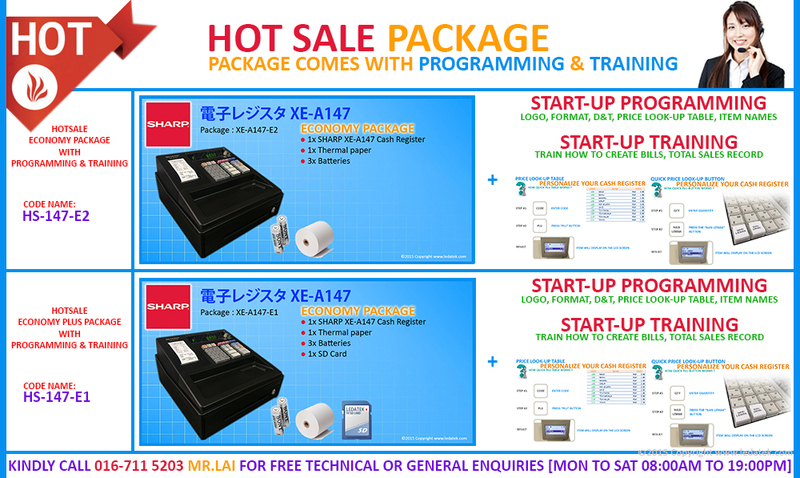 Equipped with 200 PLUs (price look-ups), the XE-A147 makes entering pricing information a snap. 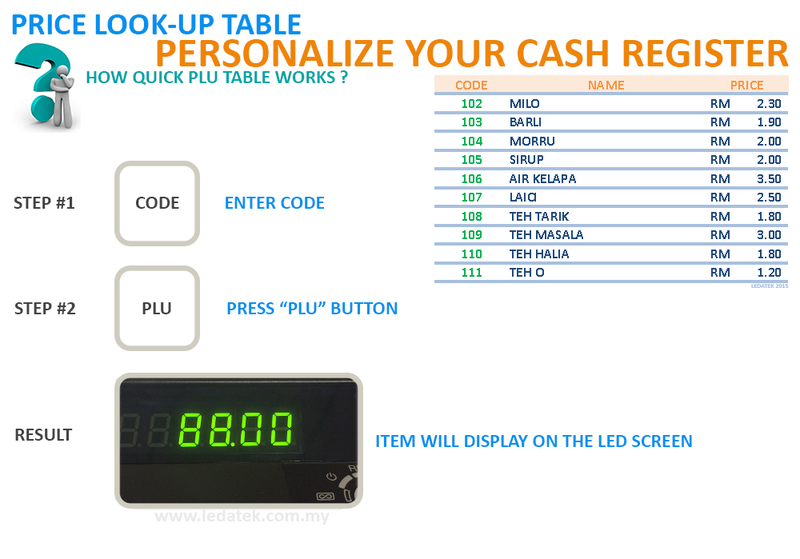 By simply entering the code for the items being purchased, you can total up sales with accuracy and speed. 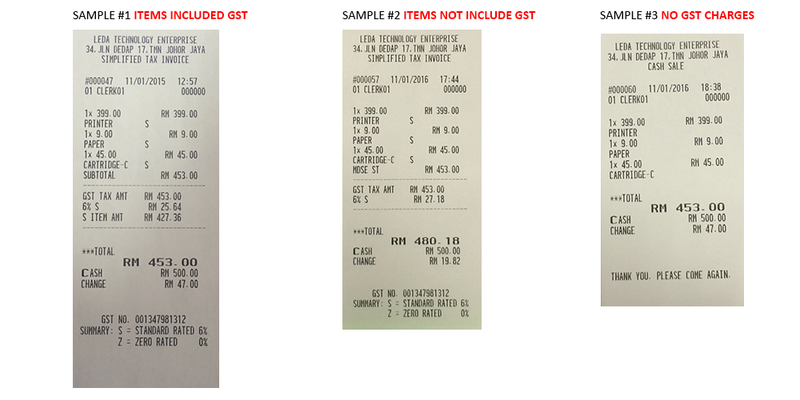 A total of 8 departments are also available, enabling you to easily track and analyse transactions byproduct type.